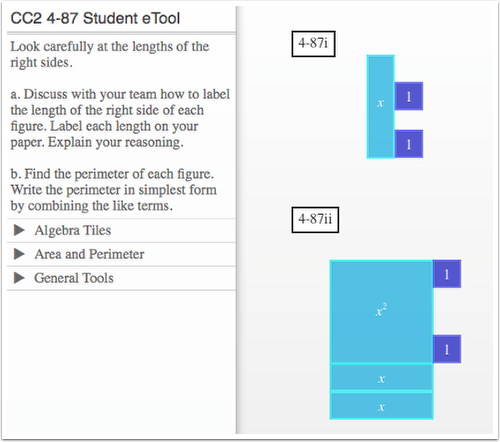 Discuss with your team how to label the length of the right side of each figure. Label each length on your paper. Explain your reasoning. Find the perimeter of each figure. Write the perimeter in simplest form by combining the like terms.